Consumer Reports has published its thoughts on the new iPhone 5s and iPhone 5c giving the devices high scores but finding that their 'so-so battery life and smallish screens are no match for Motorola Droids and other phones'. The iPhone 5s tops the already great iPhone 5 with a surprisingly reliable fingerprint reader, a faster processor, and better-than-ever camera. 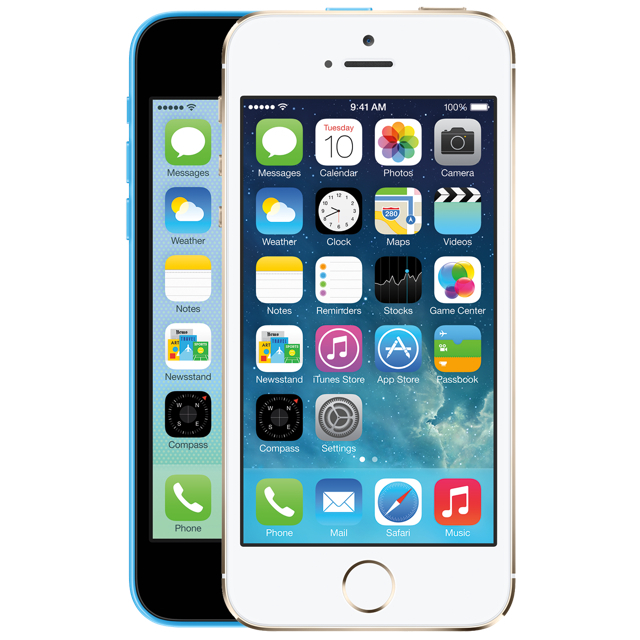 And the affordable iPhone 5c is a compelling offering for budget-minded buyers. Consumer Reports testers found both phones delivered better performances than the iPhones they succeed—they even have longer talk times (a tad less than 7 hours). Both phones benefit from the latest operating system upgrade (iOS 7), available to existing iPhone models, which gives the Siri voice-activated assistant access to more apps than before, and allows you to access a new Control Center with a swipe up from the bottom of the screen. Yet, battery life was still notably shorter than on other phones in our tests, including three of the latest Droids from Motorola, which ran for as long as 24 hours. Also, their small screens, while sharp and bright, can't beat the larger, sharper displays that adorn flagship models from Samsung, LG, and HTC. Consumer Reports has been accused of being unfairly harsh in its criticism of past Apple devices, specifically the iPhone 4 and its antenna. Their report appears to discount the iPhone display merely for being smaller. DisplayMate's extensive analysis scored both the iPhone 5 display and Samsung Galaxy S4 with an A. In addition, recent analysis from Agawi found that the iPhone 5 touchscreen was 2.5x faster than Android devices.